My computer understands me! Imagine being able to store and retrieve data on disks and not knowing the first thing about alphanumeric fields, gets, hash codes and random access. VERSAFILE lets you talk to your computer in English, the language you know best. This 6K BASIC program lets you enter statements and then ask questions about the stored data. All interaction is via common English, no need to learn any commands, control codes, special function keys or other such procedures. The program takes only a few minutes to learn and is well error trapped. It is sold by Radio Shack under a license agreement with the program developer, Mr. W. D. Schroeder. Bill Schroeder has always developed excellent software, but this is outstanding. The program is being sold for the absurdly low price of $29.95. It is so versatile and flexible, you can do almost anything with it. 'What is in Peru?' really is looking to match the word Peru, not 'in Peru'. If another data entry contains the word Peruvian, it will also be displayed. There is no worry about using too many keywords in a statement. The data is stored in the first file that it fits. If your statement contains no keywords, it is stored in a default file. Data retieval is sequential and a worst case search for information could take a few minutes. Each data entry is restricted to about 240 characters maximum. You may inquire for information and request that all files be examined, or that only a specific keyword file be used. This is not a data base manager. Don't expect fancy reports or field arithmetic. 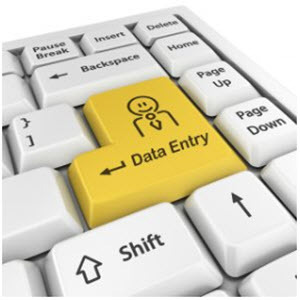 There is no editing of entries, you just kill and re-enter the data. You have the ability to perform multiple kills and delete more than one entry. You have no report formatting or report generation, but you can have the results from inquiries printed out. The Model II version features full wordprocessing type editing of entries, with non-destructive cursor, change and repeat. I have used the program to enter information on business contacts. This includes name, when met, where, contract, potential as a client, interest or specialty. By asking the question 'Who is potential customer? ', or 'Who knows PASCAL? ', the appropriate data is displayed. Note that the second question would require the defining of "knows" as an unnecessary word before running. The 80-US staff is using the program with excellent results on a Model II system. Author information and article data is kept with VERSAFILE. By entering the question "What is Machine Language?" a display listing all pertinent articles is given. By carefully designing the form of data entry and the phrasing to be used, this program can truly organize your information. This program is a jewel. The cost is minimal and its usefulness is unlimited. It is an example of what a computer should do for you, maintain information with a minimum of hassle. An added bonus is that the program is fun to use. Don't pass this one up. Keyplus 1.5, from SJW, Inc. is a collection of commonly needed utilities. This review is of the 16K, Level II cassette version. The people at SJW have said that the disk versions have even more utilities and are generally more powerful. Keyplus is a machine language routine. It is normally unaffected by standard BASIC programs, although certain POKEs may alter or disable it. The Keyplus utilities can be enabled anytime that the computer accesses the keyboard. A utility may also be enabled from software by POKEing the mode number into address 32767 (7FFF hex). To enter the command mode one must simply key in — SHIFT/CLEAR - and then input the number or letter corresponding to the proper mode or utility to be entered. The Keyplus keyboard alteration modes are: 0) The standard TRS-80 keyboard with no modifications. 1) A typewriter style keyboard wherein -SHIFT - must be keyed to get capital letters. This will function only when the computer has been modified for lower case. 2) This mode allows the entrance of graphics strings. The keyboard is like that of mode zero except when a quotation mark is typed. Thereafter all of the alphanumeric keys are used to input graphics characters. This continues until a second quotation mark istyped. After the second quotation mark is typed the keyboard returns to normal (mode 2 is still activated). The disadvantages of the graphics strings are: A) One cannot edit a line containing graphics because the process will destroy and/or alter said graphics. Such a line must be entirely retyped, and B) if one assigns a graphic string to a variable, the BASIC string space routine may alter the contents of the string. The manufacturers suggest using a CLEAR statement or possibly changing the location of the line with the string to eradicate this problem. 3) Mode three is similar to mode two except for that when the second quotation mark is typed the mode permanently switches to zero, 4) In mode four one may input graphics characters irrespective of quotation marks. 5) Mode five allows the entrance of BASIC keywords through a single character input. In other words, mode five is a form of BASIC shorthand. The commands in the shorthand vocabulary are: AUTO, GOSUB, CHR$(, DATA, EDIT, FOR , GOTO, INKEY$, INPUT, CLOAD, CSAVE", LIST, MID$(, NEXT, OUT, PEEK(, POKE, RETURN, STEP, THEN, USR(, VARPTR, SYSTEM, and ELSE. By keying in - SHIFT/Y - and/or SHIFT/Z - one may output a user definable string of up to thirty-two characters in length 6) Mode six is identical to mode five except that a trailing space is placed after every keyword. This space aides in the reading of program lines but it uses a bit more memory. The utilities of Keyplus are: 1) Auto-repeat. 2) Video lower-case enable. 3) Return to memory size prompt. 4) Print present memory size setting, and 5) Restore lost programs. Of the five utilities I found the restoring of lost programs to be the most useful. The auto-repeat is very slow and I found it easier and quicker to input repeating characters without it. In loading the Keyplus program tape I had, quite literally, no difficulties what-so-ever. Each load was good even at varying volume levels. Keyplus takes about twenty seconds to ioad and no previous memory settings are necessary. Simply keying -SHIFT/CLEAR - is all that is necessary to enter or exit any of the modes or utilities. The only thing I disliked about Keyplus was its auto-repeat utility, otherwise it is a very good set of routines. The BASIC shorthand and program restorer alone make Keyplus worth buying, and the other utilities included just add to the very good system.